Board of Directors Eastman Industries Ltd.
Sh. 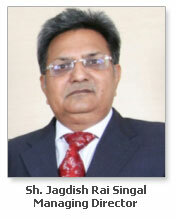 Jagdish Rai Singal is a founder and promoter of Eastman Group being the highly renowned Industrial and the backbone of our organization. 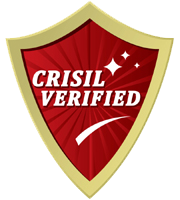 He believes in strong leadership movement with expert guidance in the field of Industry. Under his leadership Eastman has won 4 National Export Awards during last 30 years. This is an yearly award and 20 companies are honoured at national level. The company was also awarded with the special Latin American Countries Focus award for outstanding export performance by the Govt. of India. 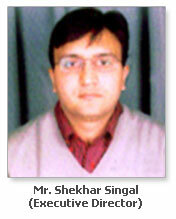 With a people-oriented approach, Mr. Shekhar Singal is known to be extremely resourceful and a capable administrator. His out- of the box ideas have tremendously helped us in advancement of business. He is always ready to face any challenge and encourages his staff to excel in every field. His new ideas make the way easy and smooth for Eastman. With a master’s degree in Business Administration, he is also the Managing Partner and Executive Director of Eastman Auto & Power Limited (sister concern of Eastman Group). 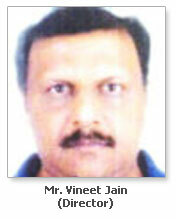 He is also serving and giving his valuable suggestions to Rohit Heritage Jewelers (P) Ltd. as a Director. 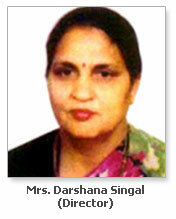 Mrs. Vandana Aggarwal is well known in the industry for her outstanding contributions. Her innovative ideas are a source of inspiration and works as catalyst for the success of Eastman Group. She has been an integral part of our Group. With her dedication and efficiency she has steered Eastman to become a reliable group of companies for its customers all over the globe. 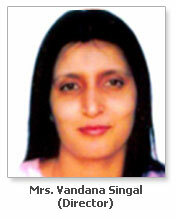 With a graduation Degree in Commerce, Mrs. Vandana Aggarwal is an active Director in Ozone Overseas Ltd. and is also working as a Managing Partner in Jaycee Overseas Ltd.
Mr. Singh is a Professional Director (Non Executive) having Bachelor of Engineering from a well reputed Technical Institute of India. A very professional & dynamic personality whose technical expertise & farsightedness is very beneficial for the company. Sh. Vineet Jain, Director, is Bachelor of Commerce and has more than 25 years exposure with an emphasis on market, latest development and technology trends available in the market. He is also a promoter and a whole time “Director of M/s Duro Pack Limited”. Sh. 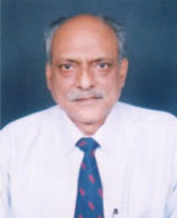 S. K. Vadhera is a Professional Director (Non Executive – independent director) of the company. 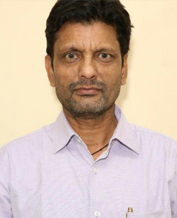 A very dynamic personality with Bachelor of Engineering from a University ofrepute. His technical knowledge, and expertise is an asset to the company. Sh. 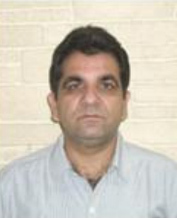 Sushil Kumar Sachdeva is Whole Time Director of the company. He is a Qualified Chartered Accountant by qualification. His professional & technical knowledge, & expertise is an asset to the company.